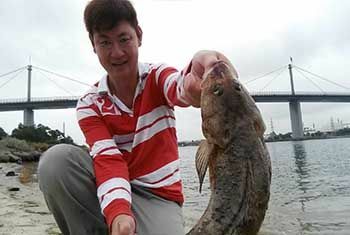 Saturday 5th of March Jeremy Ang headed under the West Gate Bridge for a brief fishing session in the morning. He did very well catching many small Pinkies, several small bream and a 45cm Flathead. Jeremy was fishing using chicken strips and pilchard strips. Well done Jeremy.